While revamping my blog, I ran over several CSS generators that are freely available on the web. 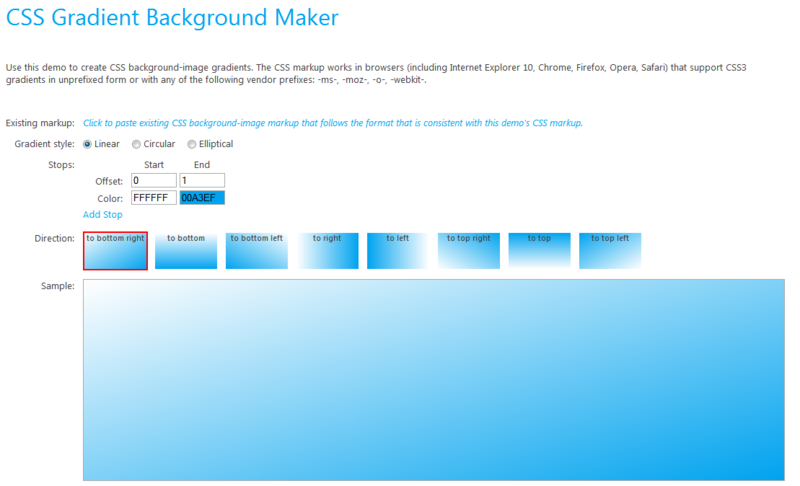 These considerably speed up the process of styling your web. So I though would be nice to share some links. Some might be interested. It uses a Photoshop paradigm, with sliders and markers to set up color points, thresholds and opacity. Hue adjustments are available together with gradient reversal option. 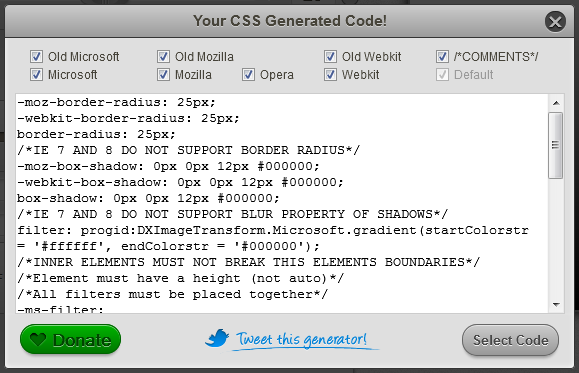 The code generated is cross–browser compliant. An additional option for IE9 compliance is also available. 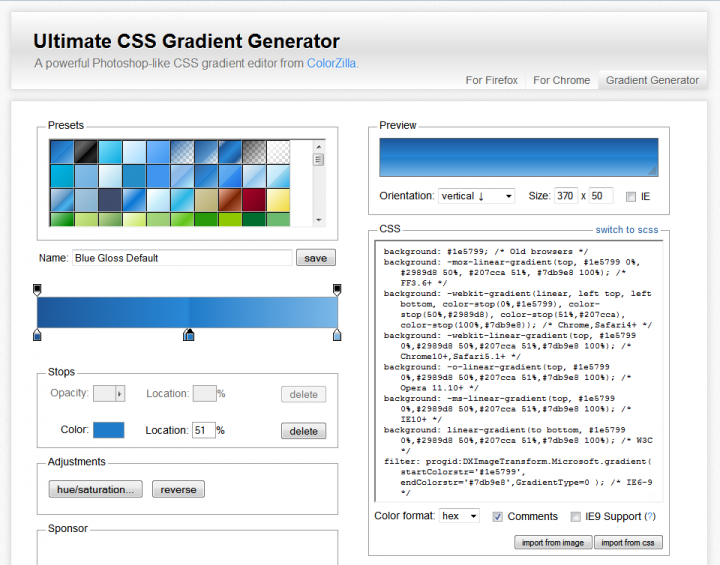 It comes with a collection of predefined gradients to be picked or adjusted at your will. 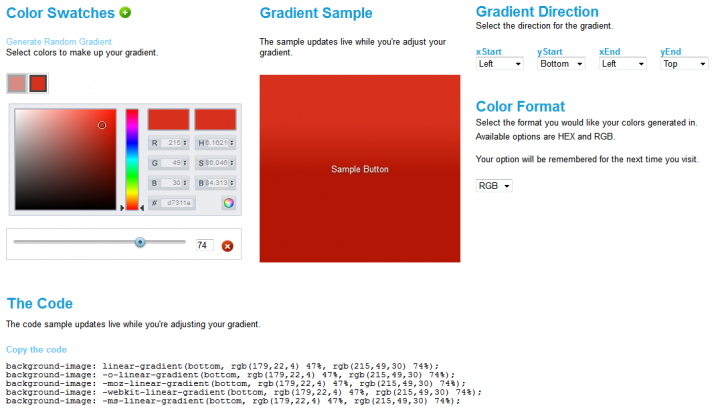 This allows random creation of a gradient, selecting the direction, intensity, opacity and hues and allows export in standard HEX definition or RGB. It is also cross-browser compliant but does not have a plugin version. 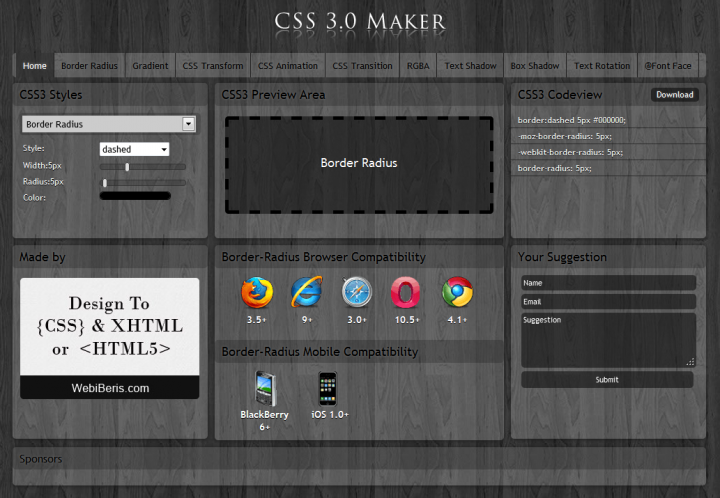 It supports all major browsers latest versions (Firefox 3.0+; IE 9+; Safari 3.1+; Opera 10.0+; Chrome 4.0+) and also has support for RGBA compatibility for BB mobile browser (6.0+) and iOS (1.0+). In the top right corner of the page there is a link to a gallery of some very interesting styling options. 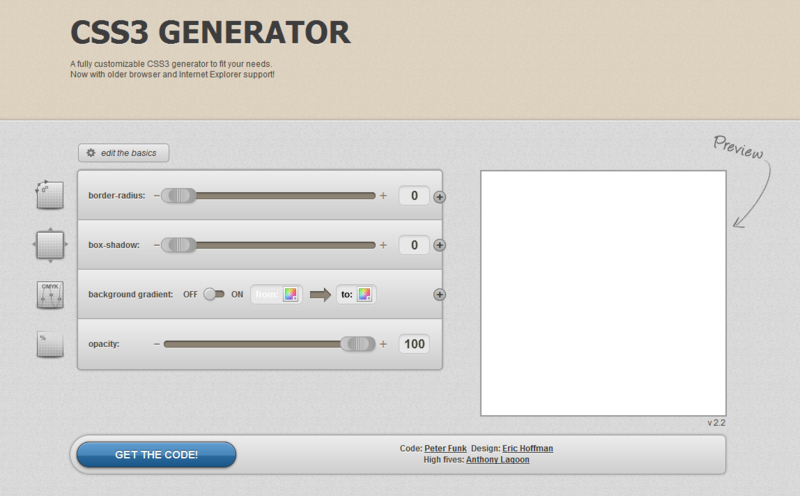 Hope these will help you create excellent web designs. Filed in Most commented, Wordpress. Bookmark the permalink. Have made a website based on CSS/3, where there are more than 200 icons using CSS2 and CSS3 and used only 2 span tags. Is there a way where you can add this website on your website. I think we can. Will update the post. Warmest regards and looking forward for more of your comments.